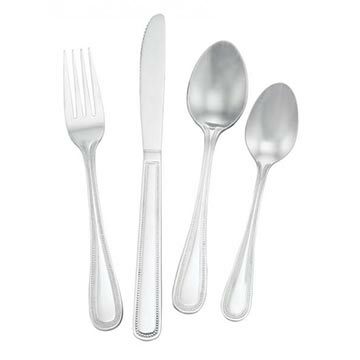 Kyle’s subtly beaded flatware pattern is contemporary and refined. Its timeless design has been a favorite among foodservice operators for its versatility and affordability. Highly polished and constructed of 18% chrome stainless steel, Kyle offers lasting durability as well as lasting appeal.